You are here:Home-CHILD ACTORS, CHILD STAR STYLE, Special Appearances, THE BUZZ-GIVEAWAY: KIDZ BOP KIDS Live at The House Of Blues Anaheim, Sunday, April 28! WE HAVE A WINNER! Hollywood Mom Monika and her daughter Madison are going to KIDZ BOP Sunday Night and taking home a bunch of family friendly CDs! Thank you to Kidz Bop, Dina and Steffan Argus and everyone who entered. You’re welcome! Have a wonderful time! Tell your kids and your neighbor’s kids – it’s time to party! The talented child performers of KIDZ BOP are performing live and in person at the rocking House of Blues in Anaheim, CA on Sunday April 28! KIDZ BOP has been invited to attend and walk Disney’s Red Carpet for the 2013 Radio Disney Music Awards on April 27, 2013. KB members From Left: Eva Agathis, Hannah Yorke, Charisma Kain, Steffan Argus, Elijah Johnson and Kiana Brown (not pictured). KIDZ BOP, comprised of five young talented performers from all across the country: Steffan Argus, Eva Agathis, Charisma Kain, Elijah Johnson and Hannah Yorke, is well known by children who’ve seen their commercials and music videos on The Disney Channel, Disney XD, The Cartoon Network and Nickelodeon. The groups’ last release, KIDZ BOP 23 debuted at number one on the Billboard Childrens Top 100 Chart and an amazing number two on the Billboard’s overall Top 200 chart! In 2012, KIDZ Bop sold more than one million albums, outselling top artists Katy Perry, Kelly Clarkson, LMFAO and Nicki Minaj! Now, that’s some street cred. And the icing on the cake? For the third consecutive year, Billboard Magazine named the Kidz Bop Kids the #1 Kids Artists of the year, and Kidz Bop 21 as the #3 Kid’s album of the year. And thanks to KIDZ BOP – Hollywood Mom Blog is giving away FOUR Tickets to the House of Blues Concert along with several of KIDZ Bop’s most popular CDs to one of our very, very lucky readers! To enter to win, write your first and last name in the reply to section below along with what you love best about KIDZ BOP. And we suggest you Enter ASAP as the winner will be announced on Wednesday April 24, 2013! When the Kidz Bop team isn’t touring, shooting video or commercials, they’re hard at work on their next CD, Kidz Bop 24. And as if all that isn’t enough, the night before their big House of Blues Concert, the Kidz Bop Kids are attending the biggest awards event in youth music – Radio Disney Music Awards at the Nokia Theatre L.A.! Many fans realize that the symbiotic relationship between Kidz Bop and Disney isn’t new. Disney Child Stars Zendaya Coleman (Shake It Up! 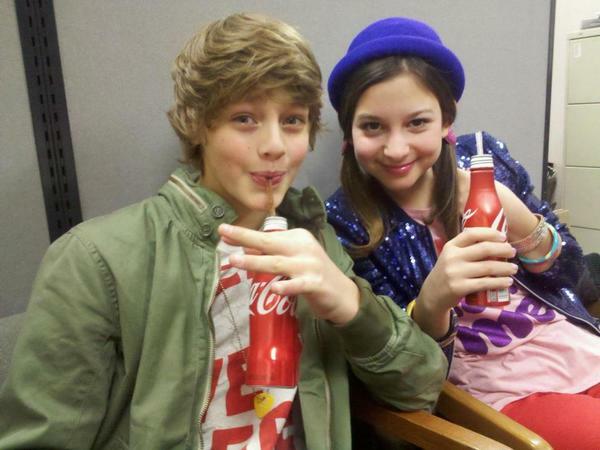 ), Ross Lynch from (Austin & Ally), and Jake Short (A.N.T. Farm), all got there start with KIDZ BOP! There’s no doubt that KIDZ BOP has a keen knack for developing great young talent for their music CDs, commercials and music videos, but what’s currently happening with Kidz Bop and who’s in the group now? Talented child performer of one of our very own Hollywood Moms Dina, is Steffan Argus, a well-known member of KIDZ BOP especially amongst the female fan base! Steffan is an actor, singer, songwriter and musician from Chicago, who plays a whopping seven musical instruments. He is classically trained in voice, guitar, piano, cello, bass and French horn and is self-taught on the ukulele, mandolin and bongos. As a solo artist, Steffan has seven original songs under copyright in pre-production. He has several more songs scratched out on loose paper flying around his guitar case and even more tumbling around in his head. You can find Steffan performing covers on his personal YouTube Channel. Argus is looking forward to a summer of performing both with Kidz Bop and on his own. Not one to slow down, he continues auditioning for commercial, film and TV roles when he’s on a break from Kidz Bop projects. He appreciates the opportunity to use his gifts for performance to help benefit non-for-profit organizations such as Habitat for Humanity and the Life Is Good Playmakers. It’s evident how diverse the Kidz Bop Kids talent is when you check out Eva Agathis opening the Knicks game at Madison Square Garden for the third time in less than two years. Eva writes music and plays the guitar and piano. Charisma Kain is also well know for being part of the ever popular girls band, Pink Army. Charisma is also an actress having appeared in commercials and currently shooting a webisode series. 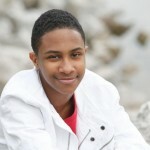 Elijah Johnson is also an incredibly popular and talented solo artist who tears up the dance floor. Elijah has also had the incredible honor of starring as Simba on the national tour of Disney’s The Lion King. 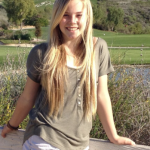 Hanna Yorke is an amazing young performer who is a killer dancer. Hannah has a heart of gold and always brings a smile to everyone’s face. She’s so recognizable by her beautiful blue eyes and golden hair, but watch out, Hannah takes no prisoners when it comes to dance! As parents we love Kidz Bop because we can understand the lyrics. My kids love it because Kidz singing their favorite hits, is much more relatable! KIDS SINGING THEIR FAVORITE SONGS WITH OTHER KIDS!! WHATS BETTER THAN THAT!!!! My kids love singing and dancing to Kidz Bop songs. I love it because I don’t have to censor the music. We all love it because Kidz Bop sings our favorite songs! I love Kids Bop because my boys , and I, can sing and dance to worry free music. Betsy Pinkney – I love that my child can sing along with the best top 40 hits without all of those **bleep** spaces. My daughter loves Kidz Bop because they are so easy to listen to and fun to sing a long to. She loves danciing and jumping around while listeningto them. It makes listening to grown up songs fun for kid. I hope we win. It will be a nice belated birthday present for her. Thanks for entering the Hollywood Mom Blog Kids Bop Giveaway!! Good luck everyone! 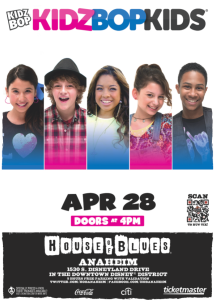 Can’t wait to see you all at Downtown Disney’s House of Blues on Sunday, April 28th. It’s going to be a fun energy packed night for people of all ages! We look forward to seeing you there! Kidz Bop is awesome because it is a fun way for my daughters to listen to any song of their choice that is in a way that’s appropriate for their ages. Kidz Bop is not only fun for them to listen to, but it is fun for me to, because I can allow them to listen to any song with out stressing about any profanity in it. Kidz Bop also inspires my children to follow their dreams. It gives them the attitude of “if they can do it, then i can to.” Kidz Bop sets a good example for not only my kids, but others to.